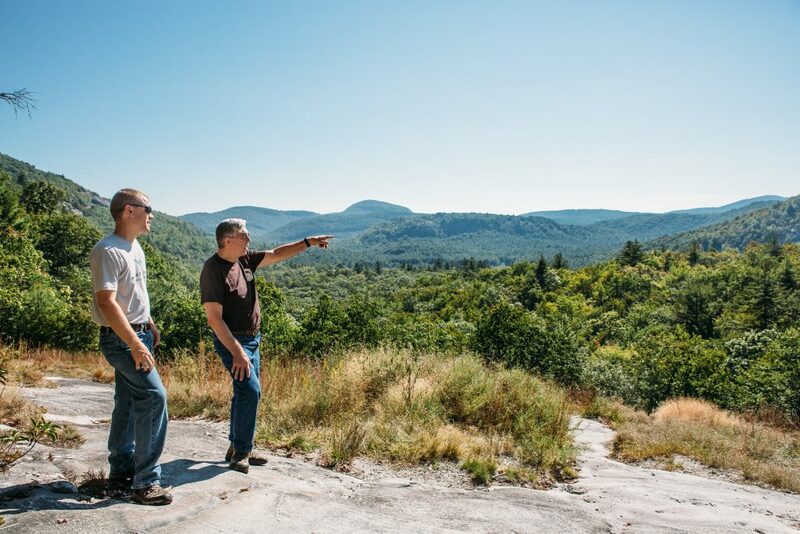 After a successful fundraising effort and partnership with the Friends of Panthertown, Mainspring purchased 16 acres of private property that borders the western entrance to Panthertown Valley and Salt Rock Gap near Cashiers in Jackson County. Panthertown is part of the Nantahala National Forest and consists of more than 10,000 acres of protected land with clifftop views, at least eight major waterfalls, trout streams, rare plant species and diverse habitat for wildlife. The two organizations raised more than $82,000 from groups and individuals of the $195,000 needed for the purchase. The money raised by the non-profits was matched dollar-for-dollar by Fred and Alice Stanback and the Jackson County Commissioners voted to cover the balance left to complete the transaction. The Friends of Panthertown cut trees and laid gravel to create a better parking area for visitors, who had previously been forced to park on the shoulder of Breedlove Road. 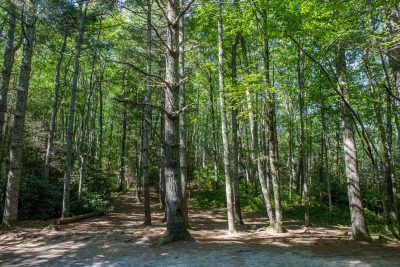 Mainspring will ultimately convey the 16 acres to the U.S. Forest Service, to become part of Panthertown Valley.